Please make your own accommodation reservations well in advance to guarantee the best local room-rates. STM will not be reserving hotel rooms for the 2016 conference. • State of the Industry — what is working, what is growing, what is challenged? • The Commercial Positioning of Your Publishing Operation — how do you make the most of it, and what innovative options are available to drive growth and increase impact? • Society Membership 2020 — how do you add members, keep the right ones, and appeal to emerging attitudes and demographics? • Emerging Tools and Technology — what new technologies and tools may factor into your success in the next few years? Join more than 100 colleagues in this exclusive day targeting important strategic drivers in the success of professional societies of all sizes and shapes. The society business publishing operation has evolved over the years and the demands of the members have increased as well. Join us as our executive panel explores these topics and shares their views and best practices to drive optimum performance in their respective organizations. Erik Schonher, Vice President, Marketing General, Inc. Emerging Collaborative Technology and Tools Moving Research Forward! With the concurrent rise of open access and social media, researchers are increasingly required to promote and explain their work to a broader audience. However, researchers struggle with generating the right content and finding the right dissemination channels. They continue to look to societies and publishers to lead marketing and promotion efforts around their published research. This talk will outline ways that Research Square is partnering with societies to help researchers successfully communicate their work through video and other media. Josh Freeman, Founding General Manager, Trellis and Senior Adviser, Multi-Media Strategies, AAAS. 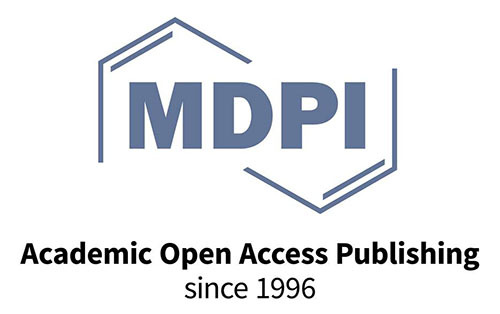 Scholarly publishing is constantly facing a fork in the road as Technology, Open Access, Mobile Accessibility, Cyber Security, etc., presents new challenges and opportunities. • Building A High Performing Team, what is the recipe? • What is the new publishing strategy for 2020? The Legal Update: Protecting your copyright and guarding against piracy. Our panel will explore how the industry is responding to the prolific rise of piracy. Beth Anderson of Arkitek Scientific explores how 3D animation can be used to visually illuminate complex science for both scientific communities and laymen alike. How science is being done is changing, as both groups are increasingly called upon to understand very complicated phenomena: to further the field of knowledge, for health decisions, for STEM requirements and in political election cycles. How best to bridge the divide between disciplines, as well as between scientists and the public? Animations and simulations can provide mental grappling hooks for people seeking to learn about difficult subjects. They can open the door to greater interest and understanding because they are engaging, visually stunning and stimulate the viewer’s curiosity. Identifying the Identifiers! Managing the depth of identifiers from authors to institutions to publishers is an ongoing challenge that the industry vigorously addresses daily. Join our esteemed panel as they explore the current and future of identifiers. Connecting People Places and Things. ORCID’s vision is a world in which where all who participate in research and innovation, from imagining to building and managing, are uniquely identified and connected to their contributions across disciplines, borders, and time. For this to be realized, all components of the research ecosystem must be motivated and engaged to "do the right thing." So, what does that mean and how is it going? Identifiers are everywhere, being assigned to many of the actors in the scholarly communications landscape. More important than the individual identifiers themselves are the relationships between them. Identifier relationships define a mapping that then can be used for study and analysis by researchers and stakeholders. So get ready for the real fun (and the real work) as we move beyond just tagging stuff with identifiers. Identifiers are key to the success of CHORUS in providing a sustainable path to public access to scholarly content reporting on funded research. By knitting them together with services, open APIs, and best practices we are fulfilling this mission cost-effectively. Let’s explore what more we can achieve and which identifiers need more adoption by publishers. Moderated by and Speaker: Deni Auclair, VP & Lead Analyst, Outsell, Inc.
Bob Kasenchak,Jr., Director of Business Development, Access Innovations, Inc. The Publishing Critical Path: The Stake Holders! The publishing critical path for the most part has not changed over the years however the various links of the critical path are constantly being enhanced by new technology. How can publishers build on this value chain, join us as our panel addresses answers this question. The world of research is changing: doing research is increasingly more complex and researchers find themselves in an ever more demanding and fiercely competitive environment. At the same time, the social network plays an increasingly central role in researchers’ lives. At Mendeley, we envision that researchers will access, consume, interact with, and publish scientific information in an ecosystem of online research communities. At this point the publishing world merges with the social network world and offers a collective opportunity for the publishing industry to expand on the value we add. Through Mendeley, Elsevier builds the foundation to better cater to the needs which modern-day researchers have and enable them to focus again on what they love doing most: doing research. Data Privacy Panel – Protecting all of your data in today’s environment requires that publishers are being very proactive and diligent. Join our panel as they discuss the best practices in protecting your data assets. The freedom to pursue intellectual pursuits and scholarship requires a freedom from oversight and control. In the library sphere that has translated into a freedom from tracking of reading behavior and privacy controls on data about content that has been searched for and accessed. However, as the amount of content has moved increasingly online, and the number of services that libraries provide are mediated electronically in some form, the privacy polices, systems controls, and data use policies have not kept pace with the rapid transformations online. One key aspect of this is the fact that many library services that had traditionally been controlled within the library are now managed by service providers. During this talk, we will examine the roll that publishers now play in providing library services to patrons and the ethical, policy, and legal implications that brings with it, as highlighted in NISO’s Patron Privacy Principles published last fall, which will be covered.